The 2011–12 Eerste Divisie, known as Jupiler League for sponsorship reasons, was the fifty-sixth season of Eerste Divisie since its establishment in 1955. It began in August 2011 with the first matches of the season and ended in June 2012 with the nacompetitie, a promotion-and-relegation tournament also involving the 16th- and 17th-placed teams from the 2011–12 Eredivisie. The competition was won by FC Zwolle on 13 April 2012, after drawing FC Eindhoven 0-0 at home in their 32nd match of the season. 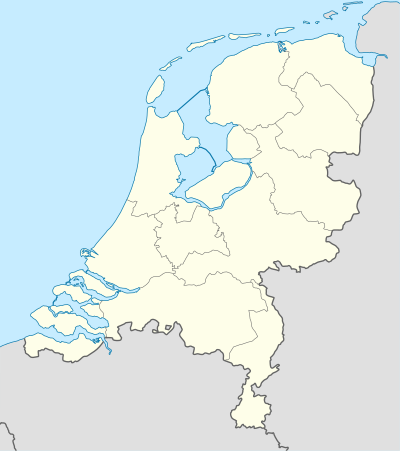 On 1 March 2012, the Dutch football federation confirmed that no team would be relegated from the league at the end of the season, after all the 2011–12 Topklasse teams had decided against being eligible for promotion to the Eerste Divisie. A total of 18 teams took part in the league. Willem II were relegated as bottom-placed team in the 2010–11 Eredivisie, whereas FC Oss were promoted as 2010–11 Topklasse runners-up, as champions IJsselmeervogels opted to keep playing at amateur level instead. Following the disbandment and consequent exclusion of RBC Roosendaal in June 2011, last-placed 2010–11 Eerste Divisie club Almere City FC were readmitted in the league to fill the vacancy. The season also saw the participation of the old BV Veendam under their new denomination of SC Veendam. Updated to games played on 27 April 2012. 1Emmen deducted six points due to financial irregularities. VVV-Venlo and De Graafschap joined the Eerste Divisie-teams for the playoffs, after finishing 16th and 17th in the Eredivisie. ^ a b "Almere City blijft in betaald voetbal" (in Dutch). De Telegraaf. 17 June 2011. Retrieved 17 June 2011. ^ "Zwolle met punt naar eredivisie" [Zwolle to the Eredivisie with one point] (in Dutch). Jupiler League.nl. 13 April 2012. Retrieved 14 April 2012. ^ "Geen degradatie uit Jupiler League einde van seizoen" [No relegation from Jupiler League at the end of the season] (in Dutch). Voetbal International. 1 March 2012. Retrieved 26 March 2012. ^ "Nieuwe naam BV Veendam: SC Veendam" [New name for BV Veendam: SC Veendam] (in Dutch). Dagblad van het Noorden. 24 June 2011. Retrieved 13 July 2011. ^ "Hans de Koning verlaat AGOVV" (in Dutch). Jupiler League.nl. 23 March 2011. Archived from the original on 13 June 2011. Retrieved 17 June 2011. ^ "Hans van Arum nieuwe trainer AGOVV Apeldoorn" (in Dutch). Voetbal International. 11 April 2011. Retrieved 17 June 2011. ^ a b "FC Dordrecht stelt Bos aan als opvolger van Lee" (in Dutch). Voetbal International. 29 April 2011. Retrieved 17 June 2011. ^ "Andries Ulderink nieuwe trainer De Graafschap". De Graafschap (in Dutch). 26 April 2011. Archived from the original on 29 April 2011. Retrieved 8 June 2011. ^ a b "Joop Gall verruilt Veendam voor Go Ahead Eagles" (in Dutch). Voetbal International. 29 April 2011. Retrieved 17 June 2011. ^ a b "Streppel wordt trainer Willem II" (in Dutch). NOS.nl. 21 April 2011. Retrieved 17 June 2011. ^ "Helmond strikt De Koning" (in Dutch). Jupiler League.nl. 3 May 2011. Archived from the original on 13 June 2011. Retrieved 17 June 2011. ^ "Sparta Rotterdam stelt Vonk aan als nieuwe trainer" (in Dutch). Voetbal International. 12 April 2011. Retrieved 17 June 2011. ^ "Heerkes nieuwe trainer BV Veendam" (in Dutch). Dagblad van het Noorden. 13 June 2011. Archived from the original on 28 September 2011. Retrieved 17 June 2011. ^ "Wim Dusseldorp als technisch manager terug in Venlo" (in Dutch). Voetbal International. 28 December 2011. Retrieved 25 January 2012. ^ "Fortuna benoemt Tiny Ruys als opvolger Dusseldorp" (in Dutch). Voetbal International. 29 December 2011. Retrieved 25 January 2012. ^ "Tumor geconstateerd bij trainer Theo Bos" [Coach Theo Bos diagnosed with cancer] (in Dutch). NU.nl. 7 January 2012. Retrieved 6 April 2012. ^ "FC Volendam zet trainer Kruys per direct op non-actief" [FC Volendam removes coach Kruys with immediate effect] (in Dutch). Voetbal International. 6 March 2012. Retrieved 5 June 2012. ^ "FC Volendam vult trainersvacature voorlopig intern op" [FC Volendam fills vacancy internally] (in Dutch). Voetbal International. 6 March 2012. Retrieved 5 June 2012. ^ "Clubs akkoord over directe overgang Faber naar PSV" [Clubs agree about immediate move of Faber to PSV] (in Dutch). Voetbal International. 14 March 2012. Retrieved 31 May 2012. ^ "Erwin Koeman trainer FC Eindhoven" [Erwin Koeman new Eindhoven coach] (in Dutch). NOS.nl. 17 March 2012. Retrieved 31 May 2012. ^ "Trainer Joop Gall gooit handdoek bij Go Ahead Eagles" [Coach Joop Gall gives up at Go Ahead Eagles] (in Dutch). Voetbal International. 24 March 2012. Retrieved 5 June 2012. ^ "Calderwood tot einde van seizoen trainer bij Go Ahead" [Calderwood coach of Go Ahead until the end of the season] (in Dutch). Voetbal International. 30 March 2012. Retrieved 5 June 2012. ^ a b "AGOVV zet trainer Van Arum uit voorzorg op non-actief" [AGOVV puts coach Van Arum as inactive] (in Dutch). Voetbal International. 26 April 2012. Retrieved 31 May 2012. ^ "Zes punten aftrek voor FC Emmen" (in Dutch). NOS.nl. 24 January 2012. Retrieved 28 January 2012. ^ "Serie B - Italy - Results, fixtures, tables and news". Retrieved 27 January 2012.